Disperse your content and messages quickly and effectively. 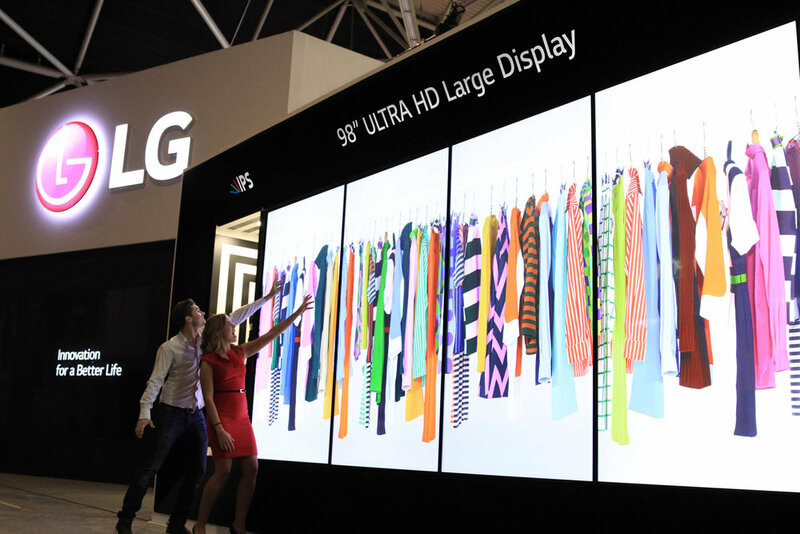 Digital Signage is known by many names, but all of them boil down to sending and receiving an electronic message to a display somewhere on the planet. It is already part of your life; it’s in airports, restaurants, banks, shopping malls, office lobbies, store aisles, post offices, and checkout lanes. With a little help, you can set up a tailored network that meets your business needs and speaks specifically to your customers, employees, or guests. The biggest benefit of this medium over traditional static signs is the incredible flexibility of exchanging the content without effort - animations can be shown, the signs can adapt to the context and audience, and even be interactive. The great thing about digital signage is that it is flexible, powerful and cost effective; even for the smallest of businesses this is a very affordable advertising option. Many solutions are available and are only limited by your imagination. LCD, Plasma and Projectors are just some of the forms of presentation media. ProVision will discuss with you all the options available and select the appropriate system for your business. We can provide the solution for you at minimal cost with maximum benefit. The content displayed on digital signage screens can range from simple text and still images to full-motion video, with or without audio. Content scheduling and playback can be controlled by simple non networked media players, networked PC’s and networked media players. All these systems are user friendly with minimal ongoing input required from client. An option to fund Digital Signage is to have advertisers to buy space on your system. These can be related to your business i.e. Real Estate Agents could use a Mortgage Broker, Airlines could use affiliated services e.g. taxes, tour guides etc. Space can be sold in blocks or single slides which are added to your presentation as required. ProVision will design a turnkey system to suit each individual client for maximum exposure, guaranteed to increase your brand awareness. You have only a few seconds to grab your audience’s attention. With colourful and dynamic content, Digital Signage is an effective tool to stimulate interest so that your message has a focused audience when it’s delivered. You can use news, celebrities, animation, music, and special offers to draw people in. Relaxing music and images will help keep people comfortable and calm. Scientific studies have even shown that Digital Signage can reduce perceived wait time; if people have something fun to watch, they don’t mind queuing up quite so much. Happy customers spend more. With Digital Signage, you can stream engaging and entertaining content to ensure that your customers are as happy as possible. Digital Signage can keep your brand image ever present and help you build the associations you want. The right content can make a pair of jeans look hip or a bank appear trustworthy and secure.